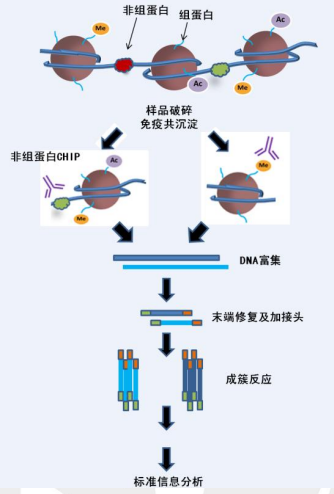 染色质免疫共沉淀技巧（ Chromatin immunoprecipitation， ChIP）是一种重要的研究蛋白质-DNA 相互作用的技巧。随着新一代测序技巧的发展和成熟，依托高通量测序并整合染色质免疫沉淀技巧，形成了新的技巧，即 ChIP sequencing（ ChIP-Seq）。重要研究转录因子、组蛋白润饰对基因表达的调控等。包含 ChIP（选做）、文库构建、测序、生物信息分析四部分. 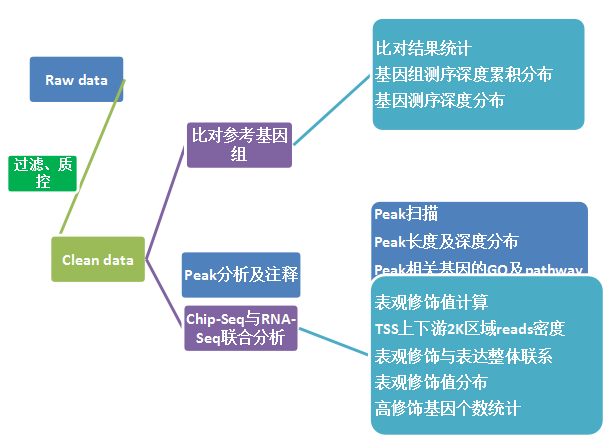 Wang X, Elling AA, Li X, Li N, Peng Z, He G, Sun H, Qi Y, Liu XS, Deng XW.Genome-wide and organ-specific landscapes of epigenetic modifications and their relationships to mRNA and smRNA transcriptomes in maize. Plant Cell. 2009, 21(4):1053-69. Tian Y, Jia Z, Wang J, Huang Z, Tang J, et al. 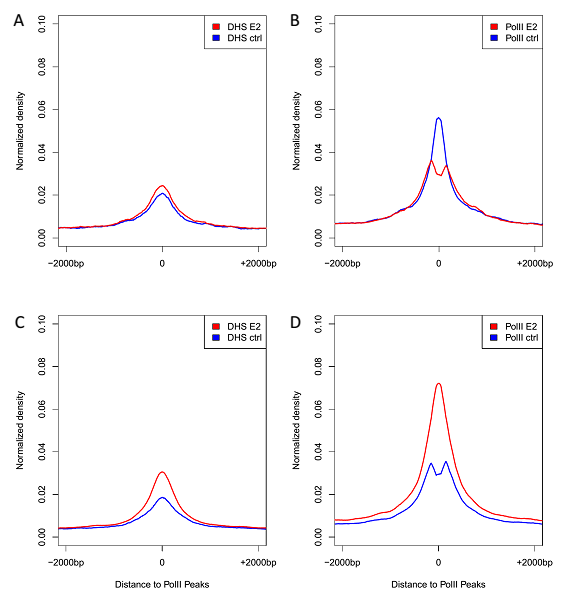 Global Mapping of H3K4me1 and H3K4me3 Reveals the Chromatin State-Based Cell Type-Specific Gene Regulation in Human Treg Cells. PLoS ONE. 2011, 6(11): e27770.